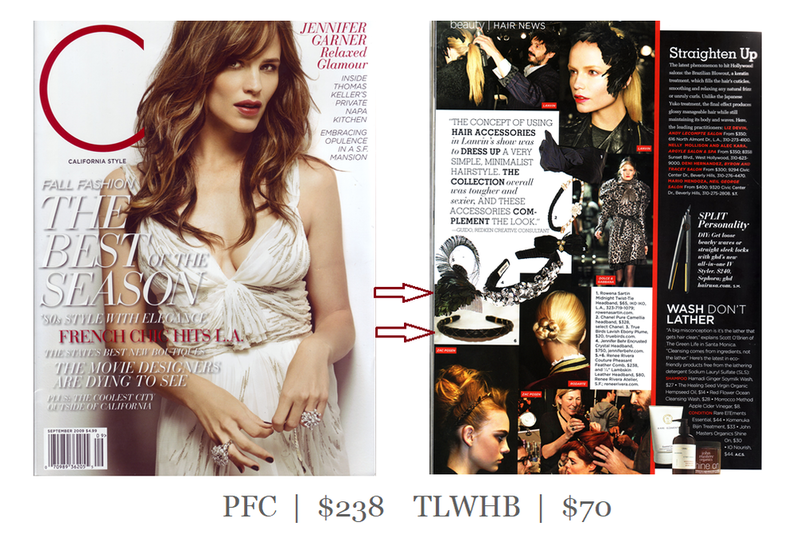 Two of our couture pieces are shown here in California Magazine. The first, PFC - Our Pheasant Feather comb with coque feather accent which makes a beautiful and elegant statement.Available in this one color option. 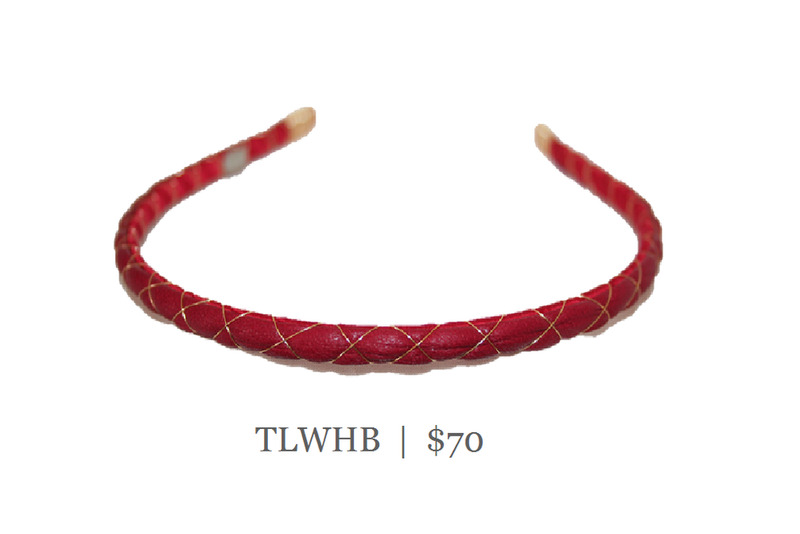 Second, TLWHB - Our soft lambskin leather headband with wire wrapping trim. Shown in black/gold and red/gold. Click here for other leather color options.